Location: Junction of Hwy 2 and 43; approximately 464 km (288 miles) northwest of Edmonton, 133 km (82 miles) southeast of Dawson Creek. Population: 68,000 serving a market area of 250,000 people. Year round visitor information service and northernmost Travel Alberta VIC are located in Centre 2000, 11330 – 106th Street, Grande Prairie, Alberta T8V 7X9; Phone: (780) 539-7688 or toll free (866) 202-2202; Email: info@gptourism.ca; Website: gptourism.ca. Known as the “shopping and convention capital of the North,” Grande Prairie is situated on Highway 43, south of Mile “0” on the Mackenzie Highway and east of Mile “0” on the Alaska Highway. 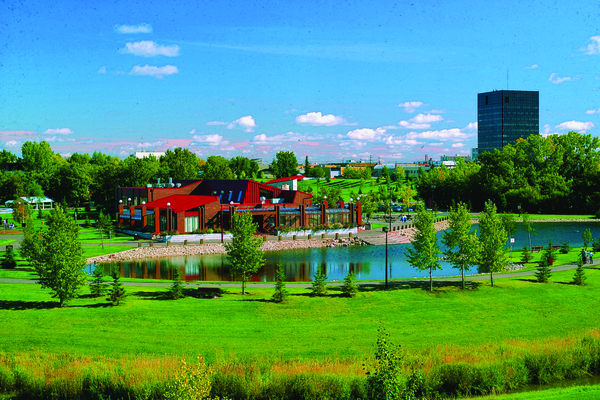 The city is the regional center for shopping, recreation and services for northwest Alberta and northeast BC. Located in the heart of the mighty Peace River country within the County of Grande Prairie, the area boasts some of the world’s richest farmlands, thriving towns, rushing rivers and endless acres of vast wilderness. As late as 200 years ago, northern Alberta was inhabited solely by Native Americans. As fur traders and trappers came to exploit the natural wealth of the region, they recognized the rich agricultural potential and soon settlers began arriving. Traveling over the treacherous Edson Trail was difficult and settlers only came in larger numbers when the railroad from Edmonton was completed in 1916. Grande Prairie was soon established as a thriving community with a strong agricultural base, which continues to grow and diversify. 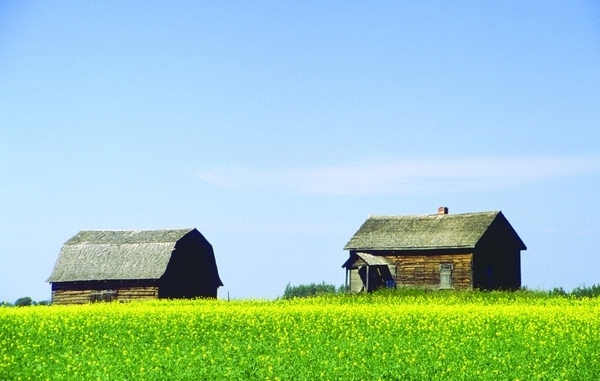 Every summer, endless fields of bright yellow canola cover the countryside. The Peace region also contains the largest concentration of domestic buffalo in Canada. Surrounded by lush green forests, Grande Prairie’s economy was greatly enhanced by the forest industry’s large sawmill and multi-million dollar pulp mill. A $139 million OSB plant opened in late 1995. Discovery of the Elmworth Deep Gas Basin, the largest pool of natural gas in North America, spurred unprecedented growth for the area. Recreational opportunities abound in and around Grande Prairie, including camping, fishing, hiking and abundant bird watching opportunities. The area is also a favorite for hunters of both big game and waterfowl. 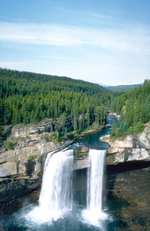 The Kakwa River area, located 95 miles south of Grande Prairie in the foothills of the Rocky Mountains, is a popular scenic get away destination. Impressive Upper Kakwa Falls is 90 feet high. Customized river boat tour packages and world class fly fishing are also popular. For the outdoor enthusiast, Muskoseepi Park has 25 km of paved hiking and bike trails, a stocked fish pond, swimming pool, tennis courts, mini-golf, lawn bowling and horse shoe pits. Located in the Park, the Grande Prairie Museum is home to over 55,000 artifacts illustrating the region’s natural and human histories. The adjacent Heritage Village offers many activities geared for children. The Grande Prairie area also has more than a dozen golf courses to choose from. Most courses provide full service pro shops, club rentals and sales, carts, driving ranges and putting greens. Bet on the horses inside the onsite casino cafe and lounge, or watch the live horse racing in July and August at Evergreen Park. 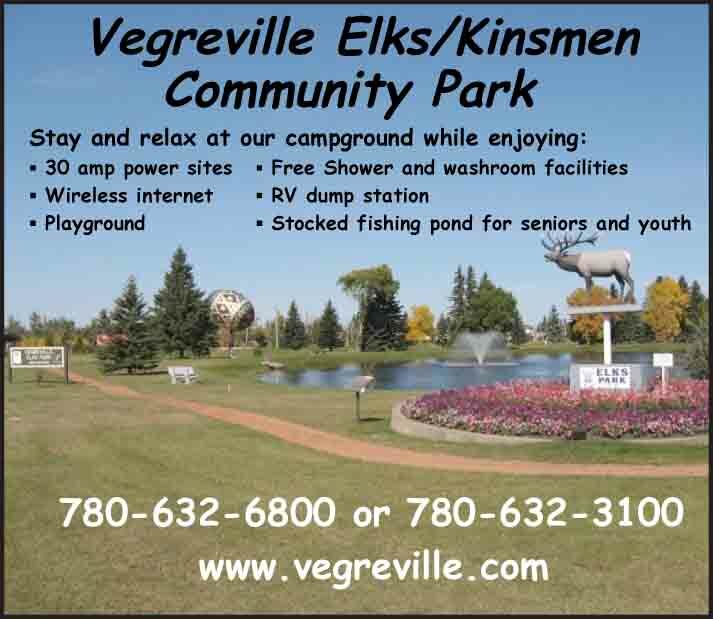 Rodeos, agricultural fairs, Bud Country Fever, GP Stompede, a campground and huge Tech Centre facility are all part of Evergreen Park’s amenities. Winter activities include snowmobiling, ice skating, cross-country skiing and ice fishing. Nitehawk Recreation area has downhill skiing, snowboarding and natural luge racing and also features an amazing terrain park, new 100m halfpipe, snow tube park, triple chair, platter and wondercarpet lifts. After the snow has gone there is lift-assisted mountain biking on the most vertical park in Alberta and camp at the year round Wilderness RV Park. Within the city limits one finds an array of urban activities. There are two large, modern malls and a host of specialty shops downtown, as well as the newly designed farmer’s market, which provide for every conceivable shopping experience. Grande Prairie also boasts a Class A art gallery, hosting both local and international exhibitions, several private galleries, three movie theatres, and two live theatres providing optimum entertainment. The Heritage Discovery Centre, located on the lower level of Centre 2000, is the home of “Piper” the Pachyrhinosaurus dinosaur. It is a popular attraction, as the Pipestone Creek area located south of the town of Wembley is now known as the highest density bone bed in the world. Tours of the Pachyrhinosaurus lakustai bone bed are available in the summer months. Located just north of the town of Wembley, a ten minute drive west of Grande Prairie, the new Philip J. Currie Dinosaur Museum opened in September 2015, with cutting edge interactive displays and extensive fossil and geological exhibits covering the Devonian through Late Cretaceous Period, a hands-on research lab, National Geographic theatre, smart technology class rooms and restaurant. Daily helicopter tours of the Pipestone Creek bonebed are also offered, as well as the opportunity to sleep over with the dinosaurs in the Museum every third Friday of the month. Grande Prairie Regional College, designed by renowned aboriginal architect Douglas Cardinal is a unique facility with a 2700 square foot climbing wall to tempt climbing enthusiasts. The range of accommodations includes hotels, motels, bed and breakfasts, campgrounds and RV parks located within the city limits, and close to thirty campgrounds in the surrounding area. Visitors can enjoy fine ethnic dining followed by a relaxing massage at one of the many modern spa facilities. 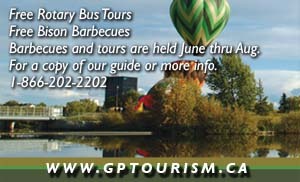 There are a variety of tours available, including free Rotary bus tours of the city, various County of Grande Prairie tours, self-guided walking tours of the downtown district, hot air balloon tours and flight seeing. 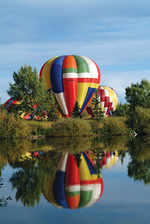 Special events include the Grande Prairie Stompede, Teepee Creek Rodeo, Street Performer’s Festival, Bear Creek Folk Festival, East Coast Garden Party, Fiddler’s Jamboree, hot air balloon championships and many more throughout the region. To see full event listings, check www.gptourism.ca. Regardless of the season, the Grande Prairie region offers unparalleled attractions, events, shopping, dining, recreation, arts & culture, spectacular scenery and so much more. Drop by the Visitor Information Centre where the coffee is always on and smiles await year round. It is your one stop shop for provincial and regional information, maps, souvenirs and knowledgeable, friendly staff who are happy to help. Join us this summer June through August for Welcome Wednesdays with complimentary food and beverage all day for visitors and the free Rotary Bus Tours every Tuesday, Wednesday and Thursday with a 6:30 pm start. 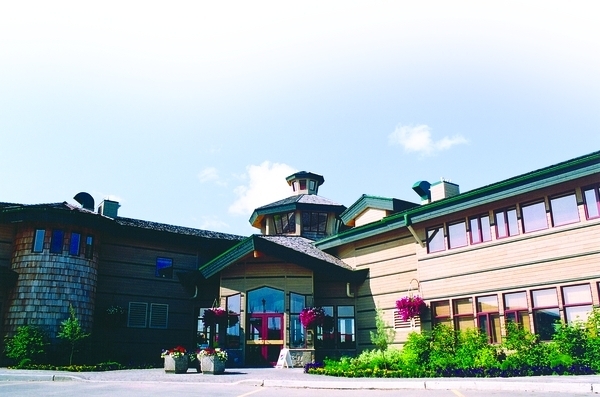 On the lower level of the Visitor Centre is the Heritage Discovery Centre Museum, where the Piper the animatronic dinosaur lives, as well as incredible displays and changing exhibits. If you need to stretch your legs or your pet needs to explore, there are over 28 km of walking trails and playground areas that start right at the Visitor Information Centre. There is also a 40-foot sundial roadside attraction at the intersection that tells the time better than a watch and makes for a great photo opportunity. Grande Prairie has an exceptionally young population and is one of the fastest growing cities in Canada. Residents and visitors can enjoy over 600 acres of park area for playing, walking and simply enjoying the outdoors. The Eastlink Centre is a 250,000 square foot aquatic and fitness facility with four pools, two water slides, dino-themed water park, lazy river, flow rider and more. At 55,000 square feet, the Grande Prairie Gymnics Centre is one of the largest training centers in Canada. The Coca-Cola Centre is home to two national hockey League ice surfaces and three levels for viewing. The County of Grande Prairie’s Crosslink Sportsplex Facility boasts a 176,043 square foot state-of-the-art facility with soccer pitch, two NHL rinks, running track, store, restaurant and more. Located in the northeastern corner of the city, Crystal Lake Waterfowl Refuge is a sanctuary for nature that many species of waterfowl, including Grande Prairie’s signature trumpeter swans, call home. The Swan Festival is held in April at Saskatoon Island Provincial Park, where visitors get a chance to see the once critically endangered trumpeters and participate in a wide variety of activities celebrating the return of this important local resident. McGovern’s Campground, five minutes southeast of the city in Evergreen Park. Grande Prairie Regional College’s National Bee Diagnostic Centre is the only comprehensive diagnostic laboratory in Canada focused on answering the critical question of bee die-off. The NBDC is located at the Agriculture and Agri-food Canada’s Research Farm at Beaverlodge.